Can you imagine inviting some people over to your house for an evening filled with good food and good conversation? Can you imagine checking on the food that you placed in the oven and realize that it is not done? How can that be? It has been in the oven long enough; it should be finished. You cannot understand why the food is not ready. Something must be wrong with the oven. We are sure you understand that appliances will eventually start to frustrate you, and your oven is no exception to that. An oven can start to develop a number of issues at any given point, just like anything else you own. There are some common problems that many people notice about an oven that eventually has to be repaired or replaced. It is not a good thing to put food in your oven at a low temperature and find that it is burning. �You do not want to put one of your special food dishes in the oven only to come back minutes later to find that it is ruined. 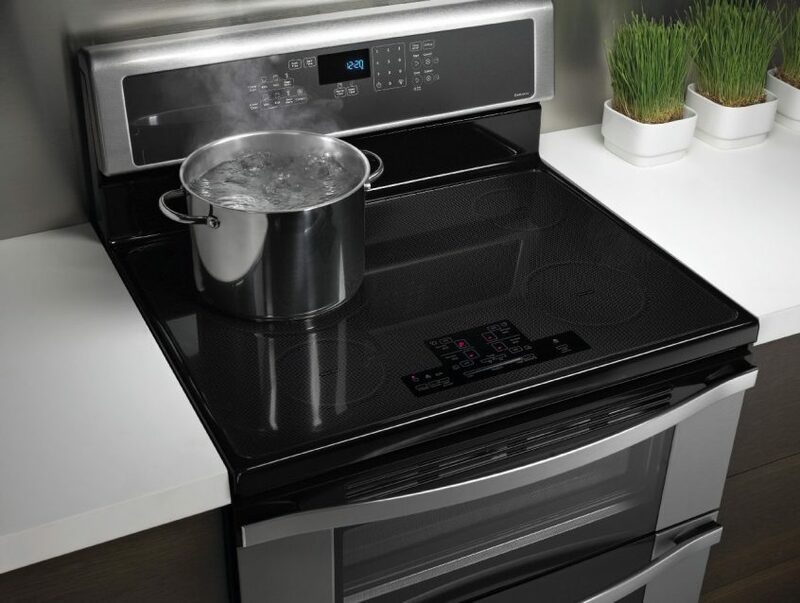 If you have a problem with overheating, there could be a problem with your oven thermostat. You do not want to hesitate to have your oven appliance repaired�if you have a problem with overheating because it can turn into a fire hazard. If your food is not burning, then is it being undercooked? If your oven does not reach the specified temperature, there could be a problem with your bake element�or ignitor. It could also be caused by your convection fan system. Do you have a chair or anything else propped on your door because it will not close like it used to? If it will not close, something may be wrong with the door hinges. We understand it can be frustrating dealing with an oven door that will not close. As frustrating as it may be, you will want to avoid making it worse. You may be tempted to slam the door or kick the door out of frustration, but you do not want to cause a bigger problem. �Just call us instead! When you are cooking with your oven, or at any point, do you hear any loud sounds? If you do, there could be some parts moving around in your oven that are causing the noises. Most of the time, the loud noises come from the convection fan. If homeowners are able to notice the early signs of appliance breakdowns or failures, an appliance repair technician may be able to fix the problem before it actually fails completely. If you love to cook and your family loves to eat, you do not want to be bothered by an oven that all of a sudden stops working properly. You are not used to looking at burned foods and undercooked foods. You want your oven repaired and you want it done as soon as possible. You do not have to search all over social media or dial random numbers in the phone book. You need an experienced team who wants to have your oven repaired just as much as you do.�Contact us�today to find out how we can help you.